Get the unbiased truth about Walton EMC Security in these customer EMC Security Reviews. EMC Security is a local security provider in Georgia that advertises a low basic monitoring rate of $16.95-with no long term contracts. But, what is the catch? Is it too good to be true? Our EMC Security Review summary and detailed editor’s reviews are followed by a section for Customer EMC Security Reviews and an FAQ section in which we compare EMC Security with some of the best home security companies. If you currently have an EMC Home Security system,we hope you will share your experience with our readers below. Your EMC Review is an invaluable resource for our readers considering an EMC Installation. Current EMC Security Customer? Leave Your Review! Affordable monitoring available to very limited service area. See how EMC Security compares with the competition! EMC security was established in 1998 through a joint effort involving ownership by three utility companies- Jackson EMC, Walton EMC and Greystone Power. 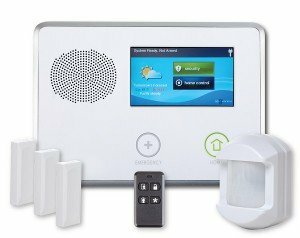 Like many of the current telecom companies, such as AT&T Digital Life, Time Warner Cable and Comcast Xfinity, they do not specialize in home security, but were looking to bundle security monitoring with existing services. Consequently they are limited to servicing the metro Atlanta, Georgia market. Nevertheless, in 18 years they have managed to capture over 100,000 customers and have maintained an A+ BBB rating. Although their website features some slick effects illustrating some of the available home automation and interactive features that are available, it lacks the pricing transparency that prospective buyers find with our Top 5 Alarm Companies. Other than their most basic monitoring rates…prices for equipment or the more advanced home automation and interactive components that are featured on the site are no where to be found. This makes it nearly impossible for consumers to research and compare without calling in or setting up an in home consultation with sales personnel. EMC Home Security Systems are monitored by their fully redundant UL-Listed, Five Diamond CSAA Certified monitoring centers. One center is located in Suwanee, GA and the backup facility is in Gainesville, FLA. Unlike most security companies, EMC Home Security Systems do not require a monitoring contract. Their rates start as low as $16.95, but require either the purchase of their cellular communication system or a $7 per month rental fee. This effectively increases the monthly rate to about $24/mo. for their most basic package. Interactive features and home surveillance is provided through Honeywell’s Total Connect This app enable you to manage the security system and home automation functions remotely, receive event notifications and observe video on your iOS, Android, Blackberry, Windows, Pebble, and Kindle devices…as well as through a standard web browser. EMC advanced monitoring packages are not published and require an in home consultation for specifics. It appears that the primary focus of the EMC program is to take over the monitoring of customers who have an existing security system. Because they do not offer a contracted program, this means that the customer will have to pay full price for their equipment. This typically results in much higher up front costs for prospective customers who do not already have their own security system. EMC uses Honeywell equipment which can be self installed or professionally installed for a fee. EMC does not list equipment pricing on the website, making it difficult for consumers to compare equipment pricing. Instead, they require one to call in to arrange an in home consultation with a sales representative to discuss pricing and equipment options. Online feedback is relatively minimal, but is mostly positive with a few billing complaints. It is important to remember that rented cellular communicators must be returned upon cancellation of service or the account will be charged the full equipment cost. While companies such as Protect America offer a Lifetime Warranty, the Honewyell equipment furnished by EMC carries at most a 2 year warranty. EMC customer service is available though online chat, email or phone support. EMC offers a very affordable no contract cellular monitoring option for those who live in the greater metropolitan Atlanta, Georgia market. Their program is ideal for those who already have an existing security system and are not necessarily interested in upgrading their equipment. However, because there is no contract, EMC does not subsidize equipment so you will be required to pay full price for a new system or to upgrade an existing system. These up front costs can add up quickly. When it comes to equipment costs and advanced monitoring prices, the website lacks transparency. EMC does offer a free in home consultation- but, many consumers may be uncomfortable about having to schedule an appointment with sales personnel. 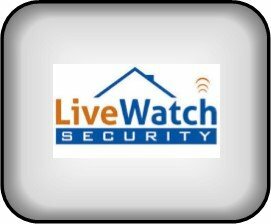 So for those who live outside the Georgia or prefer more transparency, you may be better served by investigating alternatives offered by our Top Alarm Companies. Can EMC Alarms compare to our Top Rated Security Companies? If you have experience with an EMC Home Security System, please leave a review below to share with our readers. EMC Security is an authorized dealer for Honeywell and carries the full line up of Honeywell Security products. How does EMC Home Security measure up to the competition? While EMC offers low monitoring rates to Georgia residents, many will feel more comfortable entrusting one of our Top 5 Rated Alarm Companies to help protect their home or family. For a quick side by side comparison, click on the tabs below. While Walton EMC is primarily a power and utility company, Vivint Home Security has become the #3 provider in the US by focusing solely on providing the best security and home automation solutions. While EMC Security is available in a very limited region, Vivint is available nationally. Vivint introduced a new Flexpay option in 2017 which enables prospective customers to finance the equipment over 42-60 months with 0% interest. Equipment is purchased separately from the monitoring. Check out our EMC Security Reviews. Before committing to a utility company that does security as a sideline, you should seriously considertaking a closer look at Vivint. Although the majority of our Top 5 Best Home Security Companies are DIY Alarm Systems, we that some people will prefer to have their security systems professionally installed by a nationally recognized security company-regardless of any savings. If you are considering an EMC Security System, we would strongly urge you to also consider ADT. An ADT monitored security system is also professionally installed and offers nationwide installation and service capabilities to over 6 million homes and businesses in the US. They have been in business over 140 years and have 6 UL Listed, 5 Diamond Certified monitoring stations staffed with the most highly trained professionals in the business. ADT Authorized Premier Provider – Protect Your Home will professionally install the most reliable, state of the art equipment. Their highly trained, experienced and background-checked technicians will ensure that everything works properly and that you are completely comfortable with the operation of the system -which is monitored by ADT – the most trusted name in the industry. 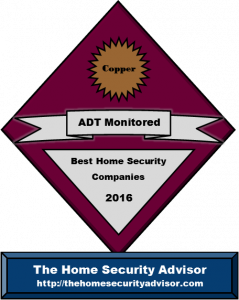 So if you are looking at professionally installed home security systems, you should definitely investigate what has made ADT the #1 name in the home security! Armorax DIY or EMC Home Security Professional Install? If you are contemplating protecting your home an family with an EMC Home Security System, you may have been enticed by the low advertised monitoring rate of $16.95/mo. This however does not include equipment, installation or the cellular communicator, which is rented out for $7.00/mo…bringing the effective rate of monitoring up to $24 per month. If you require equipment…that must all be purchased and installed separately. The EMC Security website lacks any sort of transparency, and you will have to meet with sales personnel for a quote. If you currently have an existing system, one needs to consider that it will not have any warranty. Maintenance and service costs costs on home security systems can be very expensive. EMC alarms are professionally installed, but that is not always a good thing. The effectiveness of your security system is largely dependent on the caliber of the installer. Online reviews for telecom companies and others that do not specialize in home security often convey disappointment and ongoing issues which result from poorly trained or inexperienced installers. So the question is….do you even need professional installation? In years past, hard wired home security systems required professional installation . They were complex and require drilling holes, fishing wires and programming systems. 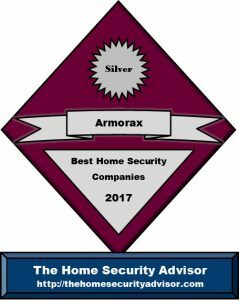 So…lets’s take a look at what $25 a month for monitoring will get you with one of our top rated DIY alarm companies…Armorax. Our initial excitement pertaining to Armorax has now decreased appreciably for the reason that Armorax continuously indicate clues that it is having difficulties. The Better Business Bureau report has slipped off considerably coming from an A (at the time of the original EMC Security review) to a C+. Throughout our secret shopping efforts, we have found that even the sales team fails to pick up the telephone. Incoming telephone calls are met with by a voice mail which tells people to contact 911 should this be an emergency…or to remain on the phone for the sales department. Following Two or three additional minutes on hold, one is ultimately handled by means of an answering service that’ll demand a name along with phone number for a return call. This makes one wonder what will happen if I have a issues with my alarm system? On top of that, Armorax seems to have changed vendors three times over the last twelve months. They have flipped from the state of the art 2 Gig systems, briefly offered the Interlogix Simon XT, and are now supplying the less well known Resolution Helix control panel. Their most current package costs $99.00 up-front and additionally basic monitoring starts at $34.99. Thee Mobile APP is extra! Moreover, the complete lack of online transparency does nothing to inspire confidence. Currently there is a one page site that features virtually no information regarding the company track record, products, price, monitoring company as well as services, Mobile App, Set up guidelines or online videos …or just about anything else that a prospective client may want to find out. Although the company exhibited great potential at first, we are no longer enthusiastic about them as a dependable alternative option EMC home security systems. In our opinion, you can find more effective alternate options- such as those listed above. The original Armorax vs EMC Security reviews is posted below for informational and comparison purposes only. Armorax has A BBB Rating They are fully accredited with the BBB , and have complied an impressive 88% positive reviews on the BBB reviews page. This translates to a 4.67 out of 5 stars! Unlike most home security companies, Armorax has a simple pricing structure…which includes all the bells and whistles. The basic Armorax Blackbox system is made by 2Gig Technologies. The 2GIG- GC2, is FREE with a 36 month monitoring agreement! Armorax add on devices are competitive with the other wireless DIY alarm companies. (for current promotional pricing…just give them a quick call at …866-355-0640) Overall, the Armorax add ons are roughly half the price of professionally installed components. With the EMC Security system, the cellular communicator must be returned when service is terminated…where as you own the Armorax equipment. While Armorax provides you with a state of the art starter system when you subscribe to their service, with EMC Security you will have to purchase your system and all the components. This can get pretty expensive-and can drive the costs up hundreds or even thousands of dollars. The EMC website does not disclose any pricing…so you will have schedule an appointment to meet with a salesperson for pricing. In addition, the advertised monitoring rate is for basic monitoring…if you want advanced interactive features like Crash and Smash and home automation EMC rates will likely be much higher then Armorax. And where as they are month to month…they can increase them at any time. Have your utility rates gone down lately? Armorax rates are locked in at $24.95/mo…..and include all the advanced features you can ask for-with NO price increases! EMC Security offers only basic cellular monitoring for $24 a month…with NO equipment. Virtually all security system organizations require a 3-5 year monitoring agreement. This is often a fairly typical practice within the security market and EMC Security is no exception to this. When the agreement is finalized, the customer has a three day right of rescission. And once you are beyond the rescission period, one is generally responsible for all, or the overwhelming majority of the monitoring installments with respect to the entire length of the contract, whether or not you moves beyond the support region of the company. If you suspect there’s a chance you’re transferring, make sure you have a crystal clear comprehension of your contractual obligations to the EMC Alarm Company before you make a commitment. Escalation clauses- Some organizations retain the authority to increase monitoring cost after the 1st year…even when the contract time period is greater. Automatic Renewal Conditions – Some documents repeatedly renew on an annual,basis once the initial term is complete unless the buyer officially cancels the contract and complies with essential terms associated with cancelling. Cancellation Conditions – All too often times, the deal is required to be terminated in writing, thirty or even sixty days before the end of the original legally binding contract. Remember to get hold of EMC Security support and understand everything that conditions must be met to be able to end the commitment. When it’s time to conclude your deal, make sure that you undertake all the recommended measures and document them. Be sure that all of the measures are well documented as well as save them where they are able to easily be retrieved if perhaps there happens to be dispute. Also- make certain to keep track of your bank account to ensure that you don’t see any automatic debits following the prearranged time frame. After your experience with EMC Home Security, you may have developed a far better concept of what your security company really should be like. Our brief security alarms questionnaire could help you narrow down your alternatives. Does EMC Security have alarm systems for renters? Since they basically do not discuss exactly how they take care of local rental cases, nearly all alarm system companies that supply expert installation services mandate home ownership. When a person is in a rental situation, we suggest that you contact then directly to determine you are eligible for their standard offers. Provided they consent to install a system, you will probably have to furnish proof of landlord approval. You are going to most likely also have to cover additional costs to get the system re-installed at a new location should you move within the contract timeframe. 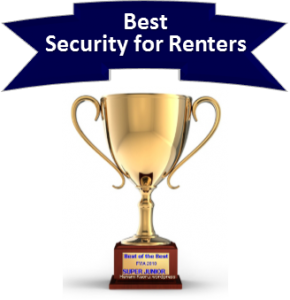 If you are renting, and reviewing apartment security system options , you should really look at our Ultimate Guide to Apartment Security Systems – Best Alarm Systems for Apartment and Renters, for apartment safety suggestions as well as our suggestions for tenants. Do I need a landline for EMC Security monitoring? An EMC alarm doesn’t need landline service to be monitored. They offer cellular monitoring as well. Cellular monitoring is a superior method to monitor EMC security systems. There are no phone or cable wires that can be cut to prevent the system from sending an alarm signal to the monitoring station. Although there may be a few EMC security reviews that take exception to the additional expense of a cellular connection, it is an alternative to landline service. OFF – Even when your EMC Security system is turned off, many sensors are still active. Your Walton EMC security system will still chime when a door or window with a contact on it is opened. Additionally, life and environmental safety systems are still active. Stay– You can arm just the perimeter protection at the doors and windows by arming your Jackson EMC security system in the “stay” mode. Instant – You can eliminate the entry delay on your EMC home security system by arming it in instant mode. Duress – You can set up a special duress code that will notify the EMC Security monitoring center that there is a potential hostage situation. If you are already an EMC Home Security customer, please feel free to share your experiences in our section for EMC Security reviews. This will help others who might be considering Walton EMC Security decide if it is a good fit for their family. Is it mandatory to procure an alarm permit to set up an EMC Security system? As it happens, you don’t need a permit generally if the system is not going to be professionally monitored. Even so, as your EMC alarm system is being remotely supervised with the aim of employing emergency response assistance, numerous local cities will demand a permit. Ordinarily, this entails basic enrollment in conjunction with your area law enforcement or sheriff’s department and a moderate fee. You will more than likely also be expected to give you the name, address and phone number for EMC Security, together with the monitoring station, should your two organizations are actually different. Anywhere permits are essential, just about all municipalities will require a one time cost to enroll an individual’s security system, and others towns and cities will want a yearly renewal also. When it comes to towns with high robbery combined with false alarm rates, failing to register could lead to a refusal to respond to locations which lack an alarm permit…although this is rather rare. However, you may well be subjected to supplementary charges if authorities, fire or emergency medical support might be sent to a physical address with no permit with regard to towns in which one is requested. Regardless of whether a licence is in fact provided, virtually all towns will most likely assess penalties and fees with respect to frequent false alarms. For the most part communities now have guidelines set up where your 1st One to two dispatches would not entail penalties. And although most EMC Security Reviews will not disclose this, subsequent penalties and fees ordinarily rise from $25-50 to your initial enforceable offense…to $100-200 for consequent repeat offenses. Therefore, it’s critical that EMC security system users get hold of their neighborhood police department, find what permits will be required, develop a detailed understanding of the local policies and make sure they consider the required practices to quit false alarms. While most EMC Security reviews fail to mention it, the vast majority of calls are due to false alarms On that basis, the largest percentage of towns require fines to alarm system owners every time they go beyond a given level of false alarms. To protect against this happening to you, these are some ideas to avoid a false alarm with your EMC Security system. • Be sure everybody knows the right way to disarm the security alarm. Your burglar alarm has a master passcode, together with a number of supplemental operator codes that one can programmed into the system. Try to be sure everyone knows his or her code as well as learns how to disarm the security system. • Make sure that that everybody also knows about the security password. If there is an alarm, the central monitoring station will generally call the house initially and request the security password to verify that the man or woman responding to is definitely a legitimate party. In the event of an alarm, should the person replying to the call be unable to give you the precise security password, the authorities would be sent. • Check to see that every window and door are properly shut before arming the system. Any entrance that is left slightly ajar could possibly be blown open in your absence and set off the alarm. • Confirm that all detectors are installed solidly and in the most suitable positions. Motion sensors should be set up at a height of 6’ and also away from the fans, heating units, fireplace and ac units. • Take note of things which might set off a motion detector. It’s not only pets that can cause problems. AC units can cause fluttering drapes or plants…even helium balloons that could be transported around the residence by air currents. Confirm they are strapped down far from motions. • Ideally, pets should really be restricted to areas away from the motion detectors. When that isn’t quite possible, there exist “pet friendly” or “pet immune” sensors that may screen out smaller sized pets under 40, 50 even 80 lbs. Motions can even be set up to create pet alleys where by pets may move freely about. The additional option is to use glass break detectors as an alternative to motion detectors. • Be sure to replace batteries when required. Just about all security systems make use of Li-Ion batteries which actually have at the bare minimum a two year likely life expectancy. Your EMC Security system will ordinarily warn you as soon as batteries have become low and and continue warn you when there is less than roughly 30 days of functional life. It is wise to get extra batteries handy and remove and replace them right away. Your system will even report to you in case there are just about every other troubles with sensors. In the event that you have a system fault warning, do a status check and examine the sensor. Contact your Walton EMC Security whenever it looks like it’s not working. Keep your user manuals/codes/passwords in a safe selected place specifically where they could be consulted as appropriate. But, the easiest way to avert false alarms is by using your system consistently and make sure that everyone is familiar with how to operate the system. 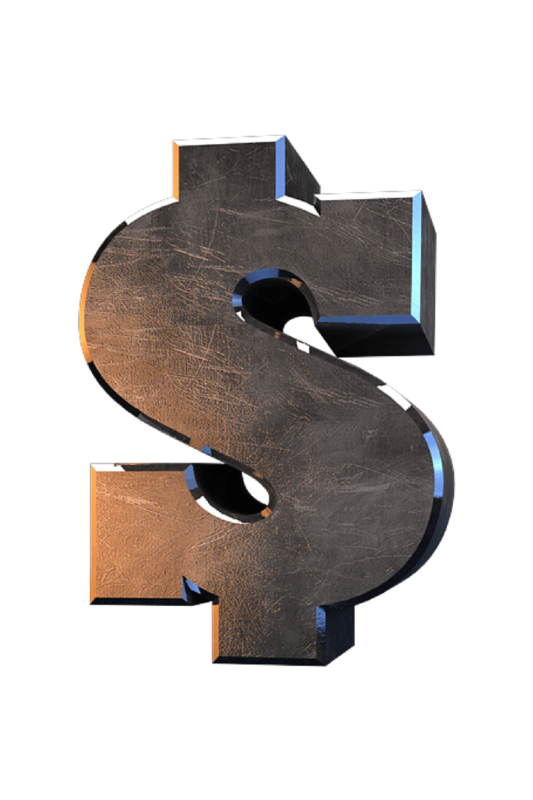 Can EMC Security help me save on insurance costs? Most homeowner’s insurance providers offer substantial rate reductions when your property is protected by a monitored EMC Security burglar alarm system. discounts vary, they typically range from 5-20% depending on the kind of system along with the services which are provided. A few EMC Secuity Reviews indicated that they had to request proof of installation to provide the insurance company. Also, make sure they know that the system will be supervised along with whether or not things such as fire, flood and freeze protection have been integrated into your system. EMC Security should provide a certificate of installation describing the kinds of services for which your system is monitored. EMC Security reviews demonstrate that home automation features are very desirable to EMC Alarm customers. By adding a Z-Wave Thermostat and setting up an automated Home Energy Management System, your EMC Security System could lower fuel as well as energy charges appreciably. Simply by optimizing your light as well as heating daily schedules it’s possible to cut down usage and expenses by as much as $200 annually. To discover precisely how cost-effective EMC Security can be..give them a call for a quote. But before you sign on the dotted line-compare them with any of our Best Home Security Companies. There are many of considerations one should look at before selecting EMC Security or any other system. Considering the fact that you’re probably getting a 2,3 or 5 year commitment, it is very important look at a various concerns before you sign the contract. No matter if somebody comes knocking on the door, called you on the phone or you happen to be picking up some sort of glossy full-page color promotion that may came in your recent Walton EMC Power bill….it is recommended to make certain you get a full grasp of all the options available to you to help make the optimum evaluation you possibly can. One of the first criteria is whether or not you intend to set up the unit yourself or simply pay for a professional installation. Traditionally, systems would have to be hard wired directly into the your house. This would require drilling and cutting openings in the walls, fishing wires and complicated mounting and considerable programming. But…times have actually changed. In fact the companies which professionally set up the systems are now working with predominantly wireless equipment. The technology has actually been drastically improved over time to really make the equipment amazingly simple to use.-as well as to install it. Thus it is surprising to find EMC Security reviews that cite issues with service or installation. The more capable DIY security alarm service providers have vastly streamlined the installation procedure to help make it simple even for the most technologically challenged folks. The better companies pre-program the entire system prior to sending it out, to ensure that all the operator needs to do is position the devices and get in touch with them to get the system turned on. In excess of 90% of house owners determined our best Do-it-yourself alarms systems an easy task to set up! Despite the fact that a professionally installed system by EMC Security may very well require a lower amount effort, the majority of DIY alarm system owners found that they were actually very easy to put up, user-friendly and saved every one of them a sizeable amount of money compared to a system installed by a professional . If you happen to select professional set up, you mat want to consider a more experienced security company that specializes in home security, such as ADT. If not, make sure that you determine how skilled the EMC Security specialist is as well as if they have previously been background checked and also are undergone drug screening process. Be sure to ask if your company has got their own technicians or makes use Third party subcontractors. Making use of sub-contractors isn’t always a bad thing (they can even provide more expertise than company employees) however be sure they should have completed extensive screening before letting them inside your your home. 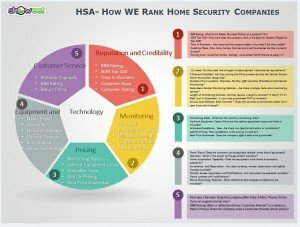 When evaluating a security firm to safeguard your property and family, we recommend picking out a national home security company which has had a strong historical background and is focused on home security systems. In our mobile society, you will never know when we might need to transfer…and EMC Security provides service to a very limited geographical area. And while EMC Security does not require a long term contract, EMC Security reviews cite many issues with installation and service. A nationwide alarm company that specializes in home security can help assure your family is protected in your current location…and will be there to help you get up and running should you have to move to another part of the country. Is EMC Security straightforward to control? EMC Security has advanced significantly in the last several years. And furthermore among benefits associated with breakthroughs in technologies are the belief that many providers place a good deal of focus on making the systems more user friendly. Long gone will be the complicated series of codes on traditional pushbutton keypads. EMC Security uses sleek touch screen user interfaces on some installations which you’ll find easy-to-use and prompt the operator with the aid of functions like for example arming, disarming, bypassing areas etc..
Today many organizations have completely integrated interactive mobile apps with home automation functionalities that let you regulate your residence from any place on the planet equipped with computer access. A number of systems are introducing voice control capabilities by means of their own products, Google Home or Alexa. These mean you can perform more common tasks by simply issuing some sort of voice instructions. Although you might find EMC Security reviews that point to difficulties installations, services or possibly billing concerns, you will seldom find EMC reviews which gripe that an EMC Alarm is not easy to manage. How Much Time Will It Take for EMC Security to Respond to a break-in? While virtually every provider promises to will have the quickest response times in the industry, one must understand how to interpret these kinds of assertions. EMC Security systems typically make use of a 30-60 second entry delay for your principal entrance to be able to enable you opportunity to disarm alarm. Security system can typically be put on “Instant” function in the event that everyone is home. The alarm goes off after any delay should the system is not disarmed. Monitoring center response times are commonly estimated from the time that a signal is received to the moment the monitoring center calls the house to confirm the signal. This period really ought to turn out to be within a minute. If no person responds at the property, they’ll seek to get hold of everyone on the emergency contact list …and they then send the authorities. Although you might find EMC Security reviews which will complain regarding substantial reaction times, most of the top rated security alarm providers actually do a first rate job – as long as things are all working properly. EMC Security recommends the actual system is is tested every week or at minimum once a month schedule to guarantee that alarm as well as communications are really functioning perfectly. Nationwide, the normal response time frame by the police is approximately 7 minutes, nevertheless, this could possibly vary drastically in accordance with the specific location of your home, the type of the emergency situation, whether there’s audio or maybe video verification along with the ongoing demand and also availability of neighboring emergency assistance during the call. For those who already own EMC Security and can provide data on their real-world reaction times, make sure you don’t hesitate to share your knowledge of our customer EMC Security reviews. In case of an electrical power outage, will EMC Security continue to perform? The EMC security system comes with a battery backup system which will run the unit in the event of a power failure. The majority of EMC Security reviews are going to list this as a typical 24 hour battery, but this will vary somewhat depending on the key pad display screen, personalized settings and the amount of devices. The EMC Security system will beep to alert you of the fact that system is running on back up power as well as signal you to enter your code. The system may additionally advise you by text message or e-mail for those who have set up remote updates. 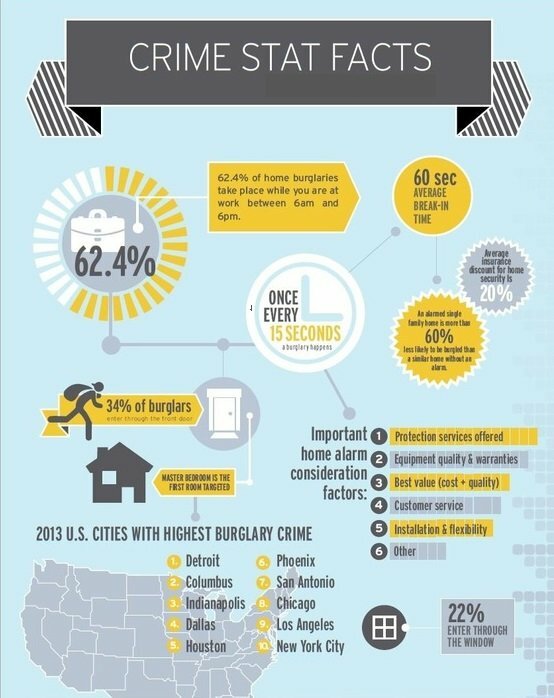 Below some simple steps to protect your home from thieves. 1. Clear away hiding places by maintaining shrubs trimmed close to entrance doors as well as windows. 2. Ensure that that the outside will be well lit up. Motion floodlights for the perimeter tend to be a relatively inexpensive deterrent. 3. Make the your house appear occupied. Put lighting and electronics on random timers to provide the appearance someone is home. Have a next door neighbor park their car in your driveway. 4. If you plan away, suspend newspaper and postal delivery, and make arrangements to keep the lawn freshly mowed. 5. Make certain high-priced items are not visible from the exterior by drawing the blinds. 6. Never leave a key underneath the doormat, plant pot etc. near the doorway. Obtain a professionally monitored home security system. You should rest better knowing your property is safeguarded. Before committing to EMC Security, take a careful look at EMC Security Reviews and see how our top nationwide security providers stack up in our Top Home Security Companies of 2017. Thank you for visiting! Please feel free to share our EMC Security Reviews , below or follow us, above. If you or someone you know has experience with EMC Security or has an EMC Alarm system, we hope you will share that experience in our Customer Reviews. Your EMC Review can provide valuable insights to our readers.